Changing the coolant should be done every two years or so, to keep sediment buildup inside the radiator and engine block. It is one of the most easy things you can do and waste of money paying a workshop for doing it. Depending on the climate you are in, the amount of antifreeze in the coolant needs to be determined. The amount of coolant in the M110 engine is in total 10 liters. Since I have the car in Norway I use a 50/50 mix water and antifreeze, so I needed to buy 5 liters of antifreeze and mix this with water. The antifreeze also contains anti corrosive properties, so I recommend not to use pure water even if the temperature is always above freezing. Put your heaters on maximum, this will allow for maximum flow of coolant. Put the heaters on maximum. Jack up the front of the car and put it on jack stands. Have a bucket or similar for collecting the old coolant, place it under the radiator. Open the radiator coolant cap, only if engine is not super hot. 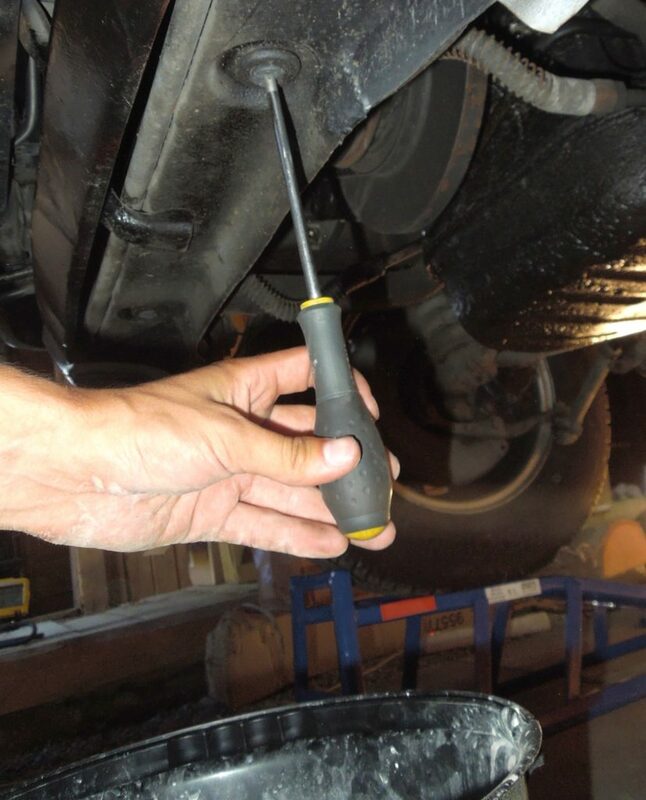 Then remove the radiator drain plug, be careful if the engine is hot and you might burn yourself on the coolant. Let the coolant flow until it stops. Now you might think that’s it, but no! There are lots of more coolant left in the engine block, so you have to remove the coolant plug from there as well, this is the reason you had to jack up the car in the first place. The engine block coolant drain plug is located on the right side of the engine just beside the engine mounts. It’s quite big and the only one there so you will find it in no time. 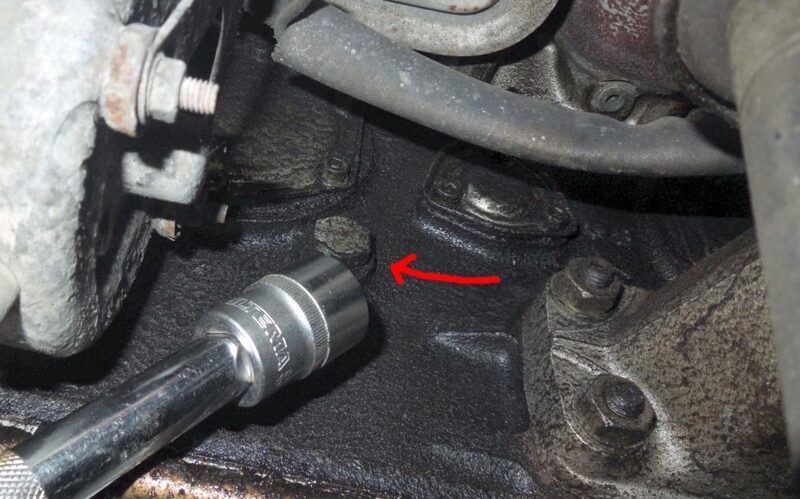 Locate and remove the engine coolant drain plug. Let it drain, then reinstall both plugs. Now is a good time to check those coolant hoses, if they fail it might result in complete engine failure. 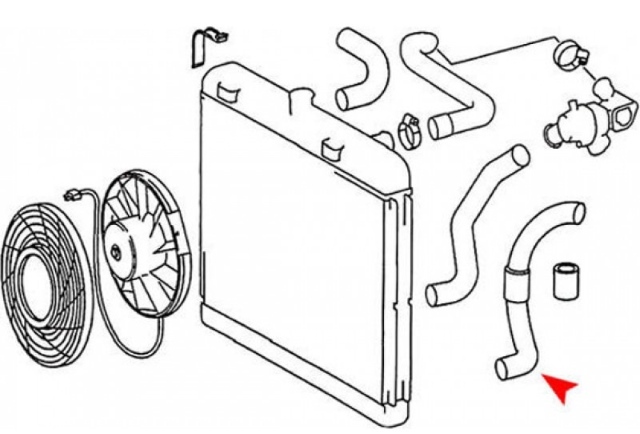 Especially inspect the top and bottom hoses from your radiator, take a grab of them and see if they are loose. Also squeeze and see if they have cracks. Replace immediately if you see any cracks. A hose is quite much cheaper than a new engine. Now pour in your 10 liters of coolant until the maximum mark through the radiator cap. If you over fill the radiator will just spit out the top. It is important to start the engine without the radiator cap for venting the coolant system of air. Air will make your engine too hot. Let it run for a couple of minutes and then check the level and refill some more if needed. When your engine have stopped burping, there should be no air left in the coolant system. Check for leaks, then you are done. 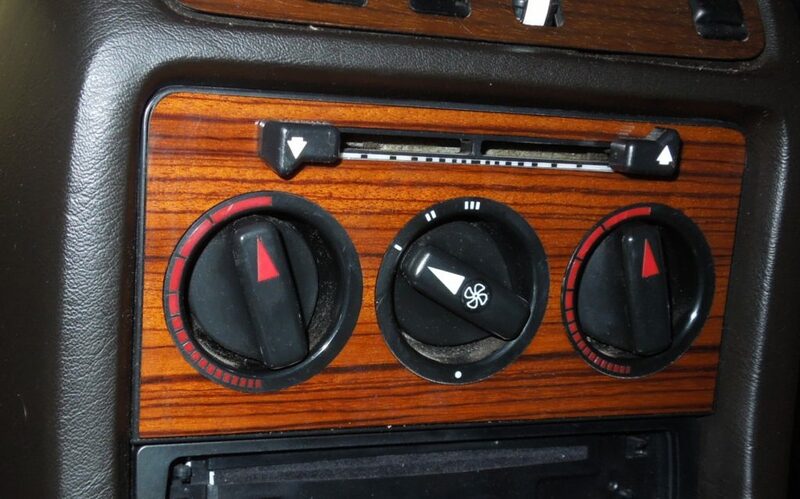 If your thermostat is old, then it is a good time for replacing it while doing the coolant change. However getting the thermostat housing open can be tricky, I have encountered bolts that have frozen in the aluminium housing so I had to drill them out. Be patient and use lots of wd-40. Wiggle the bolt by trying too loosen it, then tighten it slightly while hammering on it, maybe even use heat. If you change thermostats every 5 years this should be no problem though. After 25 years the bolts are probably stuck.